As the Syrian Army appears poised for a large-scale push in Daraa province, the militant groups entrenched in the region reportedly receive a massive shipment of weapons "made in the US." The Israeli Defense Forces reported that at least three Israelis were wounded as a result of what they suspect was a ramming attack. The incident took place near the West Bank village of Husan, west of Bethlehem. The Sairun Alliance, backed by the prominent Shiite cleric Muqtada Sadr, won 54 parliamentary mandates during the first Iraqi parliamentary election since Daesh* defeat. The White Helmets, accused by Damascus and Moscow of being the "media arm" of the Nusra Front terrorist group, have repeatedly been charged with helping stage chemical attacks and blaming the Syrian government to try to prompt Western military intervention in Syria. Women-only parking spaces decked out in pink have been arranged throughout Saudi Arabia as the country is about to tear up its decades-long ban on female drivers - the only one of its kind in the world. 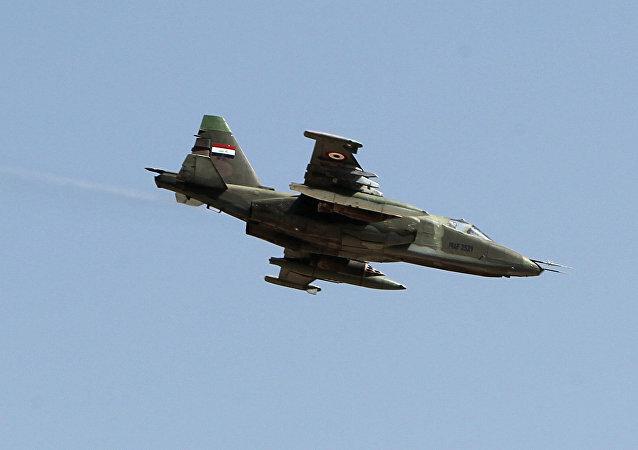 Iraq has been carrying out strikes against Daesh in Syria since receiving intelligence involving security threats. Last year, Israeli Prime Minister Benjamin Netanyahu admitted that Tel Aviv develop "secret contacts" with Saudi Arabia despite the fact that the two countries have no diplomatic relations. Senior mediator and Palestinian Liberation Organization Secretary General Saeb Erekat had some harsh words for the Trump administration's long-awaited Israel-Palestine peace proposal, which is expected to be unveiled in the coming days.